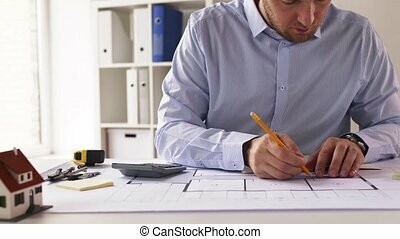 Male architect with blueprint and notebook. 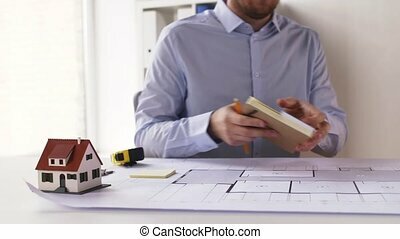 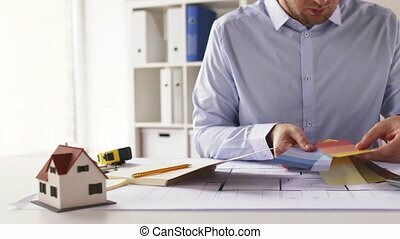 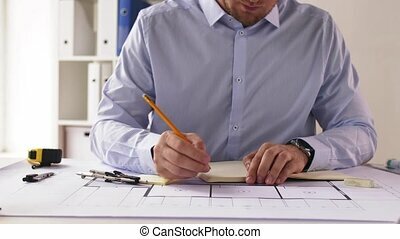 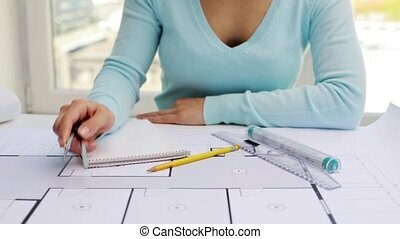 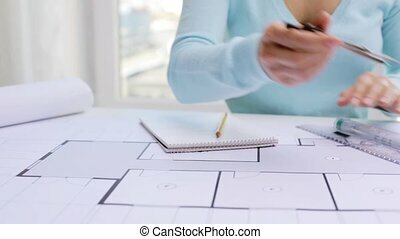 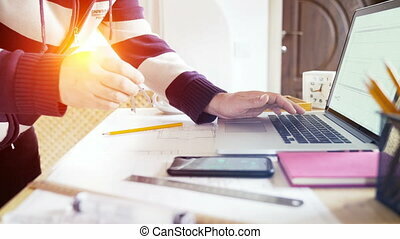 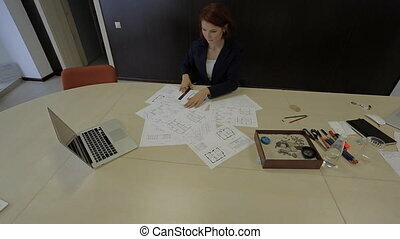 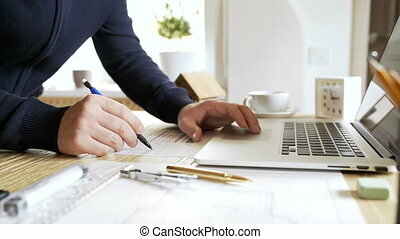 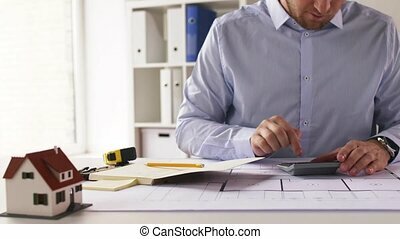 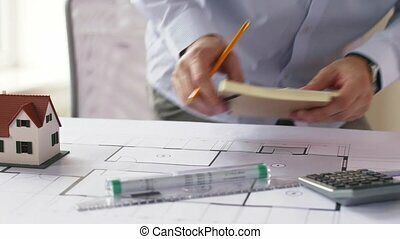 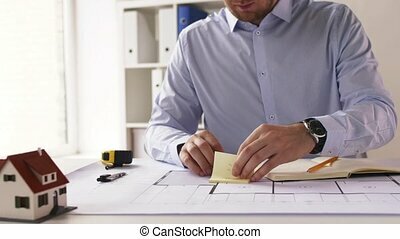 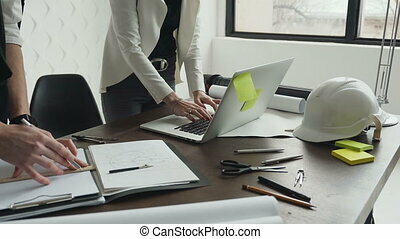 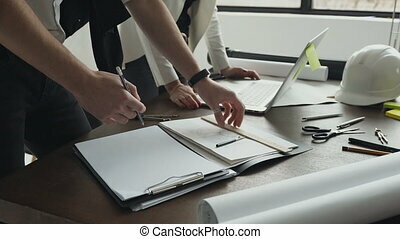 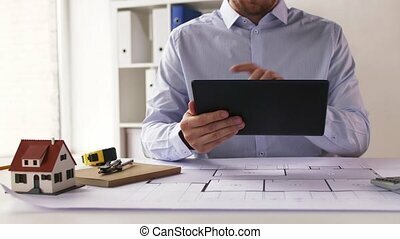 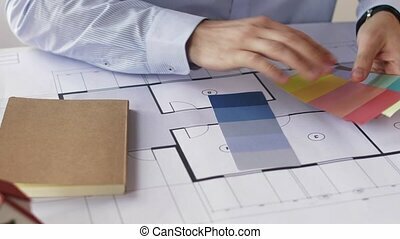 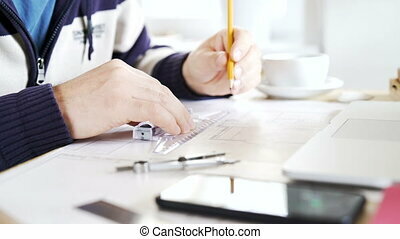 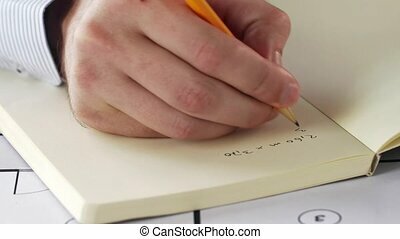 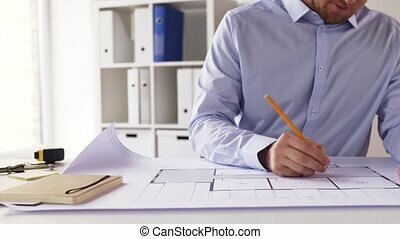 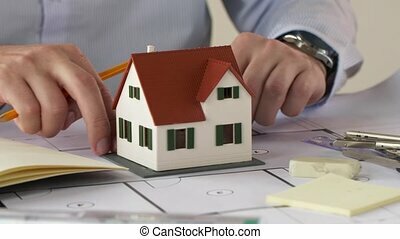 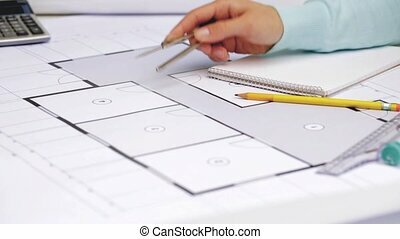 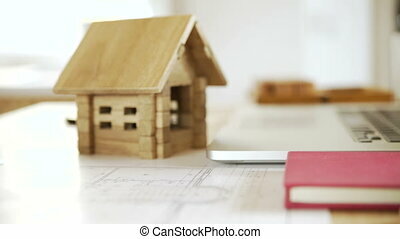 Architecture, building and construction concept - male architect with living house blueprint and notebook at office. 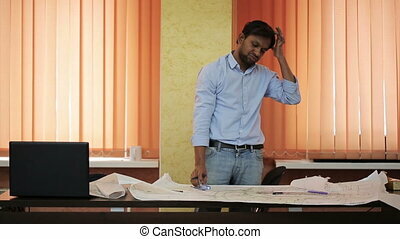 Portrait of young male architect, who is working in bight office. 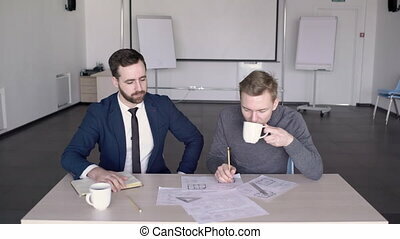 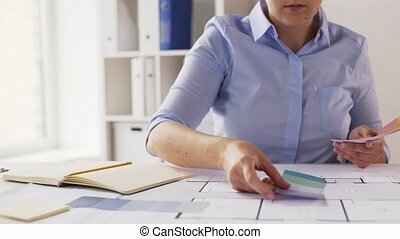 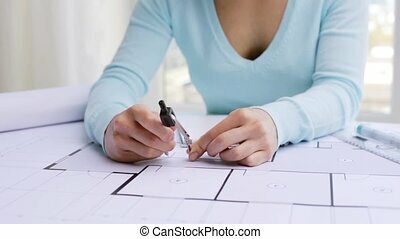 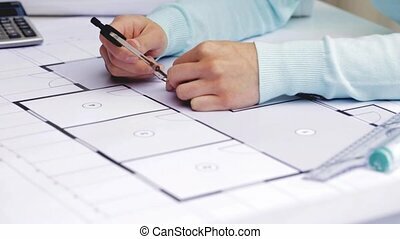 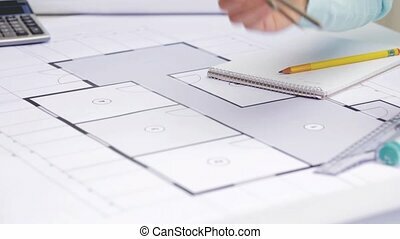 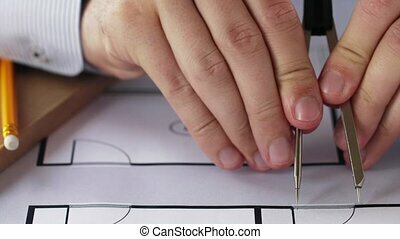 Professional is sitting at the table and looking to the house blueprints on paper. 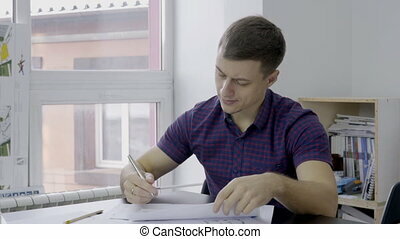 Man in purple shirt is in his studio with white walls and window. 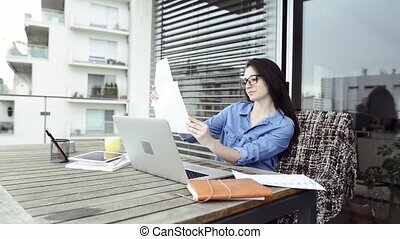 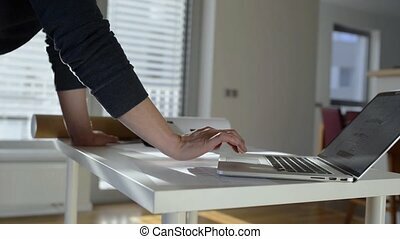 Beautiful young architect on balcony with laptop working from home.